If you care about the environment, you’re already doing your best to reduce, reuse and recycle. Did you know that you can also get rewarded for those things? Recyclebank is a free program that awards points for doing things like recycling and learning about ways to take a more green approach to the way you live. Collect those points and cash them in for rewards that include grocery store savings, drugstore coupons, and discounts on the brands you buy every day. The easiest way to earn points is through recycling. But even if earning points for home recycling isn’t available in your area (it’s not in mine), you can still earn rewards. You can earn points for referring friends, learning about ways to help the environment (such as visiting websites or watching online videos), recycling your electronics, and entering point codes from participation brands like Kashi and Ziploc. 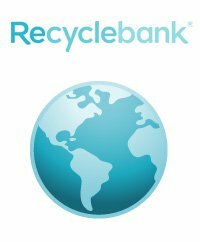 I’ve been using Recyclebank for awhile, and I’ve been impressed with the high value coupons and discounts available. If you’re already doing your part to help the environment, you may as well get rewarded for it. Note: This post includes a referral link, which means that if you sign-up through the link, I earn Recyclebank points. Please see my disclosure policy for more details.